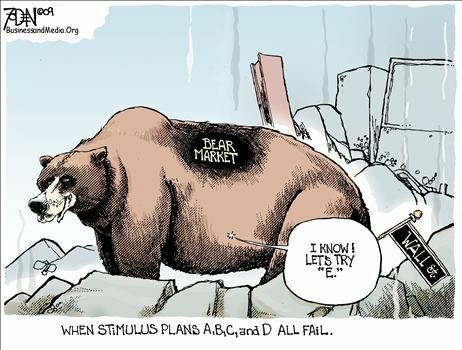 I am sure many of you are thinking that the Federal Reserve policy of raising interest rates might be Plan E (for excrement). With declining commodity prices and more pressure on interest rates, we get a de facto “recreation” of the actions which lead to the last Great Depression. Even Societe Generale agrees with you, if you have that opinion. That is rare among happy-talking investment bankers. Dire consequences could be the result of an extended global slowdown, seemingly heralded by the precipitous drop in the Baltic Dry Index. What traders and investors may now have to deal with panic among fund investors. That panic forces the sale of stocks ( and even bonds in many cases). The selling then fuels a manic correction, which we have currently. Even the Barclays Junk Bond Index signaled trouble beginning in May of 2015. Pretty much every antecedent indicator of a bear market had begun to appear since late spring and summer of 2015. Valuations according to the Shiller Inflation Adjusted Price/Earnings Ratio for the $SPX has been on the high side of historical measurement too. That ratio has cooled a little in this selloff but remains extremely high by long measures of time. At one time, that index matched the ratio at the peak of the market before the 1929 U.S. stock market crash. Manic corrections not only happen, but they are typical in most market cycles. In this particular one, it has been somewhat long overdue. Instead of going all “Mises” on you, I am going to look at one index this evening, and that one will be the Russell 2000 Stock Index. It may give a potential pause to this virulent worldwide cascade of selling. It could lead later to more selling, but it seems to be leading the other indexes to a major area of support. As time goes on, I will cover other indexes. The other indexes do not yet show this level of Fibonacci pattern completion, but may very soon. Why does the Russell 2000 look like it is nearing support? 1) Look at the weekly chart to see the break of the initial trend line. Its inability to remain above the primary trend line before rolling over is referred to as a failure swing by old school technicians like Welles Wilder, the inventor of the Relative Swing Index. 2) That cascade below the primary up-sloping trendline became the A-B leg of the decline on the weekly chart. Note that the rally and following C-D decline is virtually equal to the A-B decline. That kind of a pattern is incredibly bullish. 3) Note also on that same chart, that there is a golden ratio (61.8% retracement) of that final upleg that is retraced by the A-B=C-D lightning bolt pattern. The low represented by the low of the week of January 15 (983.98) and a support low of 942.79 will likely be a support low that could create an environment for a counter-trend rally. The only concern there is that if the rally does not extend to the resistance found at the previous low of 1078.83, there is potentially another symmetrical price move lower, and that would put the Russell 2000 index into the 860s. The world is facing uncharted waters and is playing economic chess on a multidimensional chess board. It seems like the US Federal Reserve still has the utter hubris to think it can control its and the world’s monetary environment. Internally, however, the voices of discord are probably large. Even the statists who meet in Davos, Switzerland haven’t a clue as to what could happen. As interest rates and falling commodity prices impact the development of African countries and other emerging nations, no perfect outcome can be guaranteed. Sadly, the world’s citizens have bought into the notion of government-led economic feudalism. This group includes Americans too. They are addicted to entitlement. They, for the time being, are rejecting free market activity. Hopefully, people will awaken from this nightmare, be responsible for their outcomes in life, and throw of the caviar-sucking masters who fence in their existence. I am optimistic that this will happen again, but it may take a very long time for the final outcome to be realized. Commodity collapse and currency fluctuations are largely the making of governments who use incompetence and arrogance as their primary modes of analysis. Saner minds need to take hold than are in control of things at the present. As you know, I have pulled back from this blog, as the budget estimated to fully revive it would mount into the 6-figure territory. I love to write, but if it cannot make money, it is not worth my time, even though I enjoy writing. From what I read from your comments, I know you like it as well. The radio broadcast days are long gone now, though. The hedge fund world is tough out there. I read in post somewhere in my email file that a rather well-stationed chartered market technician had landed a new job as a massage therapist. For that reason, I will post as I see important things to post, and as time goes on, I will produce videos as well. Another business I am starting (in addition to my trading) may provide a budget for which I can return this blog to its former glory, but for now that will have to wait. As always, thank you for supporting this blog! Next post: Target THIS! How I Get More Consistent Profitability Out of Automated Trading Models with Trade Efficiency For Trade Targeting (Part 1).